Oregon is one of eight states where it is legal to possess cannabis for adult recreational use. The Department of Agriculture is targeting growers with its recently updated list for allowable pesticides in that state. As other agencies follow the protocols set by the Oregon list your laboratory may want to be prepared to handle the testing demands with a verified method. 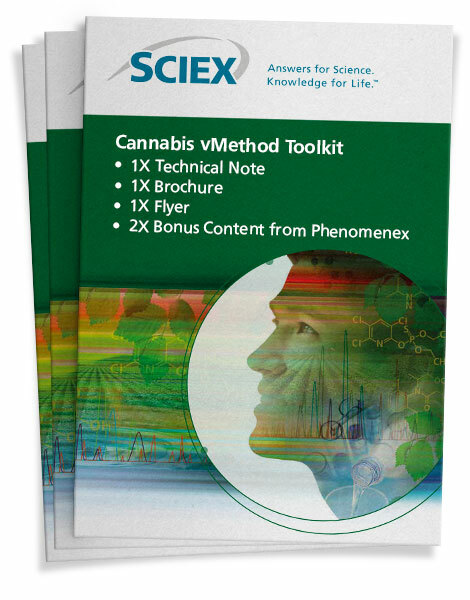 Introducing the SCIEX vMethod™ Application for Quantitation of Pesticide Residues in Cannabis Matrices 1.0; a novel LC-MS/MS plug and play method for testing flower and concentrates for stipulated residues.